“Anthony helped me feel safe enough to be vulnerable with myself and my feelings. I could finally talk about my problems openly and not feel judged. Anthony was really supportive of my goals, and I enjoyed our work together”. Outside of his career Anthony enjoys spending time with his wife, daughter, and cat. He also loves to play soccer, watch baseball, and garden in his spare time. Anthony’s clinical experience includes serving populations ranging from adolescents to the elderly in various settings, encompassing private practice, inpatient and outpatient care, onsite crisis intervention support, residential services, and engaging with clients in an EAP environment. His varied background consists of working with individuals managing a wide array of challenges, specifically relationships issues, grief and loss, addictions and gambling recovery, trauma, depression, anxiety, men’s issues, health and wellness, and workplace issues. Anthony’s journey began as a youth care worker at a residential home, where he witnessed the effects of trauma on individuals and families. By building trusting relationships, Anthony supported young boys and adolescents in their efforts to cope with physical and emotional abuse, substance abuse, and gang violence. Through the utilization of trauma-informed CBT techniques, he became skilled at helping individuals to better identify, understand, and manage their unsettling emotions such as low self-esteem, anxiety and anger. After Anthony completed his MSW program, he served clients battling substance abuse and mental health issues at an inpatient facility. Here, Anthony became proficient at utilizing mindfulness techniques in his clinical work such as breathing exercises to aid clients in managing difficult thoughts in a more productive and non-judgmental way. Anthony has strength in helping clients bring awareness to the present moment and notice thoughts, in order to better recognize and cope with negative, self-critical thought patterns that often contribute to anxiety, depression, stress as well as substance use. Anthony went on to work in an employee assistance program (EAP), where he became highly skilled in solution-focused therapy. By focusing on the future and an individual’s already-present coping skills, this approach emphasizes the importance of clients creating solutions to their situation to create movement forward in order to feel less stuck. Anthony has found client’s greatly benefit from this approach when working through life stressors including family and relationship issues, gambling recovery, and crisis intervention following death, injury, and other difficult life circumstances. In the private practice setting, Anthony expanded his knowledge working with adult clients experiencing anxiety, depression, relationship issues, and trauma. Anthony helped these individuals to work through their feelings of stress, sadness, low self-esteem, addiction, and communication issues. By fostering a supportive environment, he empowered clients to achieve their goals. 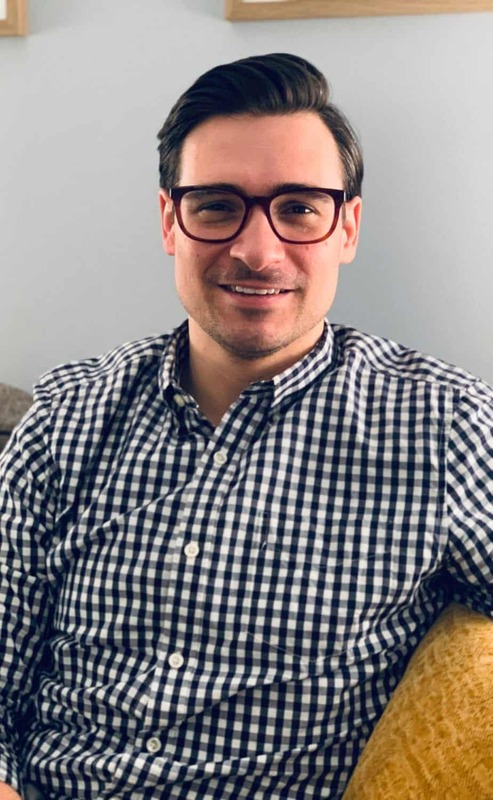 Anthony received his Bachelor of Science from Loyola University Chicago in Psychology with minors in Sociology and Criminal Justice in 2008, and he received his Master’s in Social Work from the University of Illinois at Chicago in 2014. He received his clinical social work license (LCSW) and substance abuse professional certificate (SAP) in 2017.